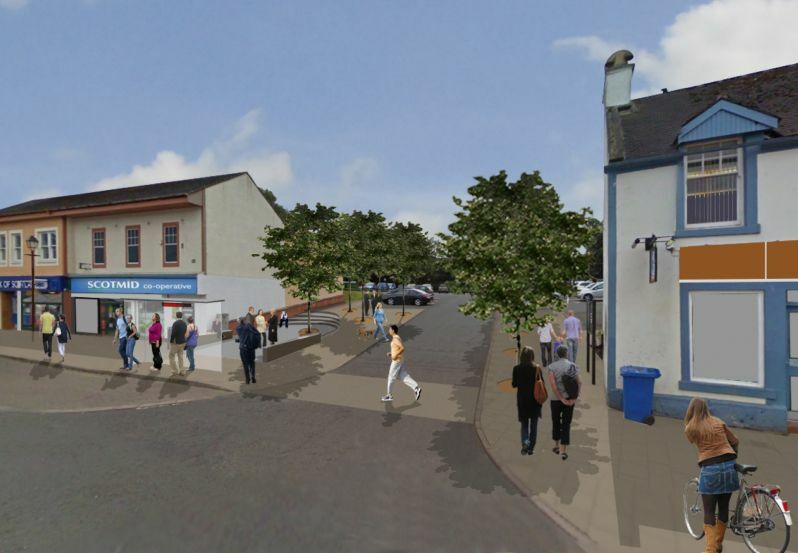 We were appointed, together with RankinFraser Landscape Architects, Hamilton-Baillie Associates and Peter Drummond Architects, to develop the ideas set out in the 2010 study of Strathaven Town Centre by Kevin Murray Associates. The work was commissioned by the Rural Development Trust representing a number of organisations and local people of Strathaven. The brief for the study was issued by the Rural Development Trust in September 2012. It required us to produce a set of design principles and proposals that would guide the future development of the town centre. 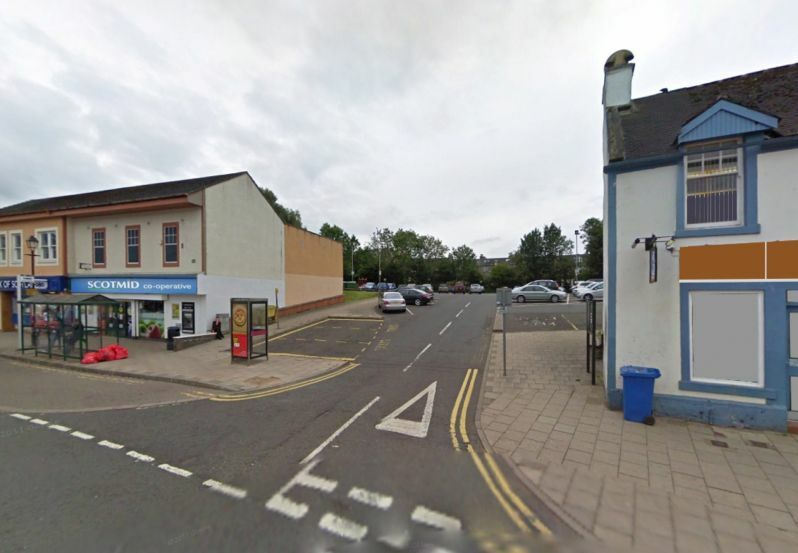 The study was to be primarily focused on the Common Green, Waterside Street, Green Street, Bridge Street and Stonehouse Road – in other words, the main commercial district of the town. The intention was that the work would be carried out in partnership with key stakeholders in the area – private, public and community – with a view to establishing a coherent design framework to guide future activity which will improve and support the function of the town centre. Significant junctions and thresholds: Physical and/ or visual changes which can be made to create a stronger sense of arrival, thus reducing traffic speeds, increasing awareness of place and drawing people into the town centre. Outdoor events infrastructure: There is an increasing annual events programme in the town, many of which occur in indoor venues or away from the Town Centre due to logistical and infrastructure constraints. The ability of the town centre to accommodate a wider range of these activities is desired. The Common Green: Outline proposals for a package of improvement works which examines public transport facilities, seating, shelter and information provision. Waterside Street: The design of this space in respect of parking and vehicle access and its relationship to the pedestrian should be considered. Signage Strategy: The development of a simple signage strategy which connects local attractions and businesses, emphasising the role of the town centre as a hub. Historic Buildings and Heritage: This was included as an additional theme because of the need to tackle issues relating to the continuing erosion of the historic fabric of the town centre – not only in terms of individual buildings but also in terms of the overall morphology and grain of the town centre area. In the tender proposal for the work, the methodology for the study made the point that it was important to avoid re-inventing previous work since it already had community approval and support. 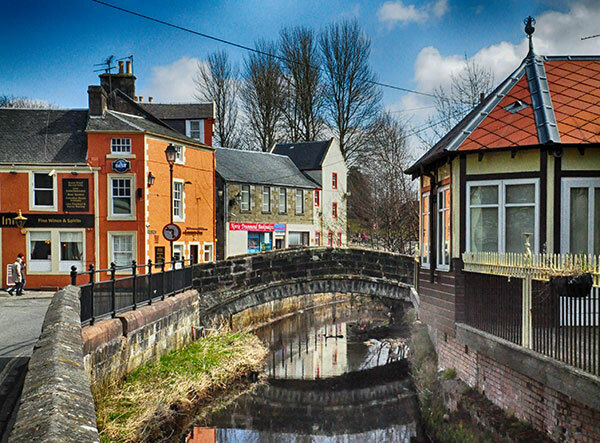 Strathaven is well served by a range of organisations that are active in the civic life of the town and capable of organising and implementing projects and events. Most of these organisations are represented on the Strathaven Town Centre Steering Group so there is a strong link between this study and the community. 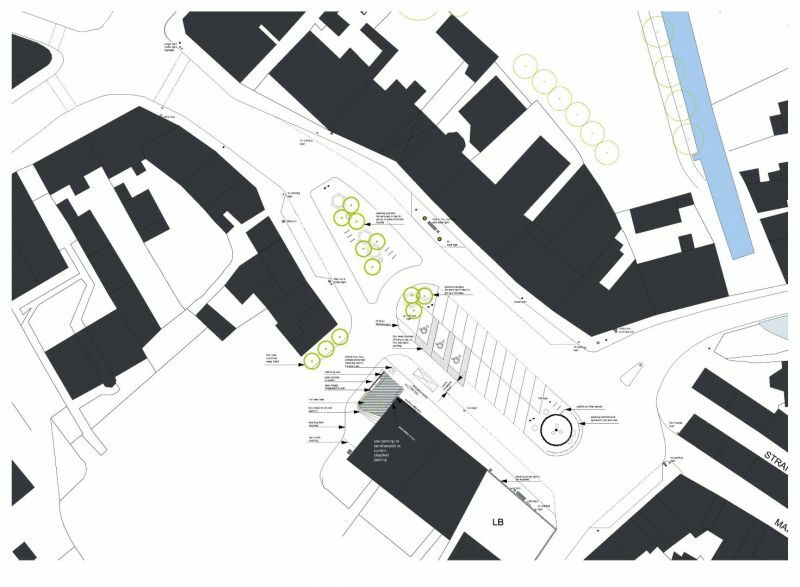 It was therefore possible to integrate consultation throughout the development of the design principles and proposals for the town centre rather than relying on a series of large set-piece events which, from previous experience, may not have been well attended. This was achieved by establishing working groups with community representation who were responsible for developing proposals with members of the consultant team. These proposals were then the subject of a Public Exhibition of interim proposals held in April 2013. This was followed up by a survey/questionnaire on the proposals. The proposals described in our report represent an opportunity to start a process of implementing much needed environmental improvements in Strathaven. The suite of early action projects is a collection of relatively inexpensive but much needed proposals for the improvement of key areas of the town centre. The focus on the Common Green and Waterside Street is a sensible way forward which will maximise the impact and visibility of the projects. These are areas chosen as significant and worthy of priority treatment by the Strathaven community. 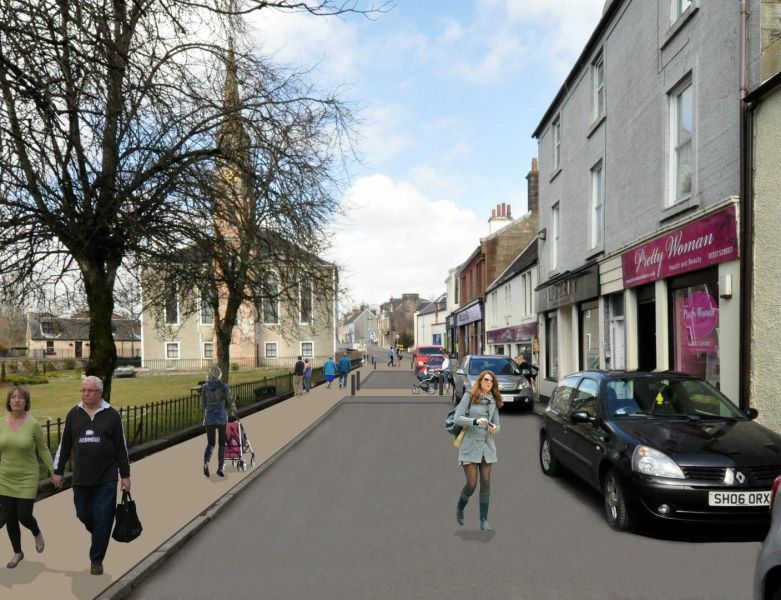 Implementing these projects will give the Strathaven community the confidence to proceed with some of the more complex projects outlined in this report. Moreover, involving the local community not just in the choice of projects but also in their design and implementation is an important factor for the future. Residents and businesses can continue to develop future ideas together and manifest these in physical form. There are already good communications and joint working between the various local organisations within the town. The need to adapt to changing pressures on towns centres is understood and a framework exists though the Town Group to exchange information and facilitate joint working between local organisations and the Council. The basis for a strong public community delivery partnership is therefore in place. Some of the proposals outlined in this report may take many years to implement. They will require much discussion between residents, local businesses and public agencies. Visiting other towns which have had similar problems but have implemented proposals that have made a genuine difference is a positive way of deciding on what is effective and achievable. Town centres are the focus of much attention at the moment from the Scottish Government. There is much support from a range of initiatives which the Strathaven communities can pursue. 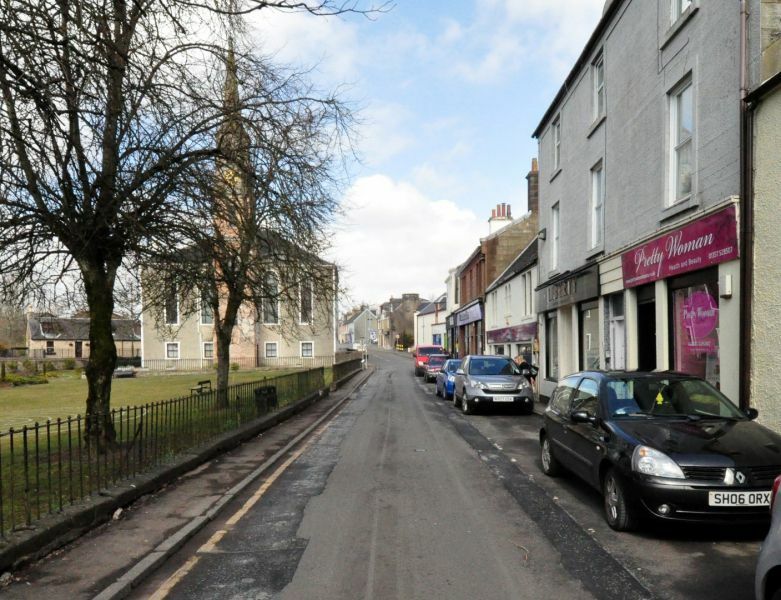 The time is right for Strathaven to push on with more proposals for its town centre.